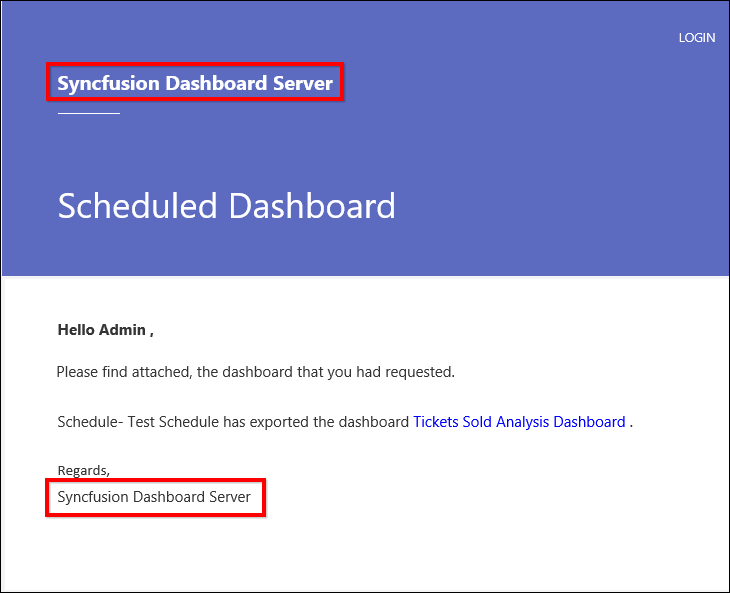 This section explains on how to customize the Syncfusion Dashboard Server by changing the organization name, site URL, login screen logo and welcome note text, main screen logo, favorite icon and time zone and date time display formats. Dashboard Server can be rebranded with Organization name, site URL, login screen logo and welcome text, main screen logo, favicon, time zone and date time format. Name of the Dashboard Server can be changed at any time and this is in the title bar of the browser. Dashboard Server URL can be changed at any time in the Server Settings page and to get this change reflected you need to configure the same in the IIS. 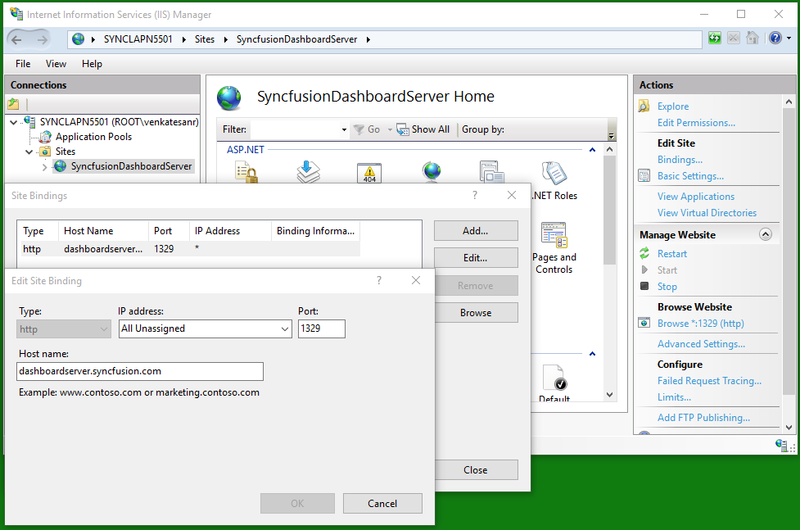 Check the Host in IIS section on how to host the dashboard server in IIS. After hosting is done, add the same URL in the site binding in IIS as like below. Dashboard Server can also run under SSL for which you will need to select the https from the Site URL dropdown. Login page logo image can be changed and the preferred image size is 240x120 pixels. 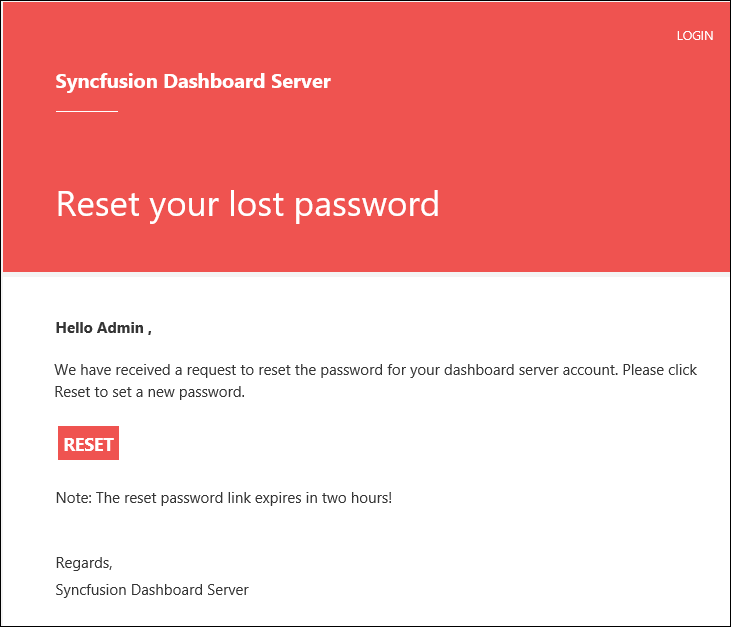 Dashboard Server will have Syncfusion logo as default login logo. Welcome note can be changed and the maximum characters is 70. 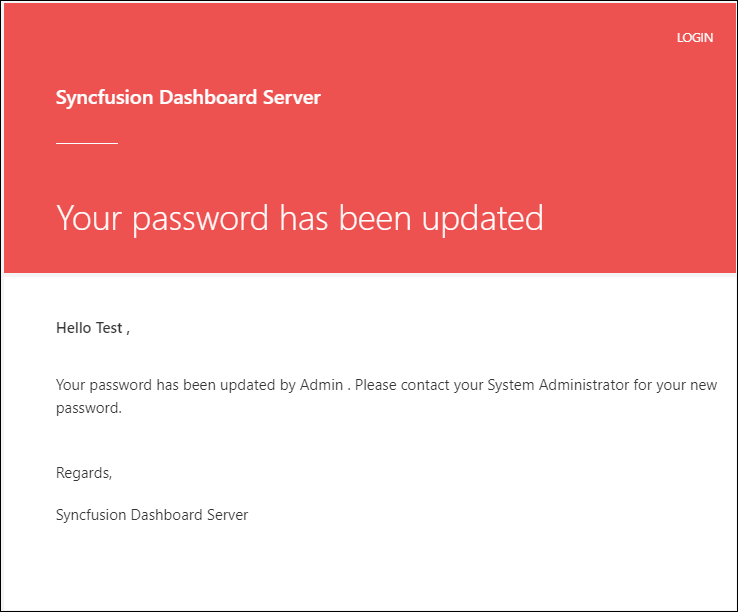 Dashboard Server will have “Welcome to Syncfusion Dashboard Server” as default login welcome text. Main screen logo image can be changed and the preferred image size is 40x40 pixels. 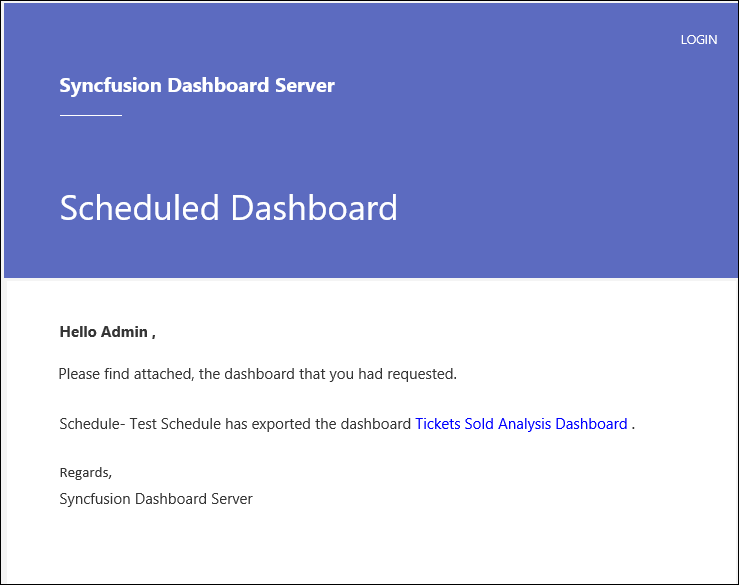 Dashboard Server will have Syncfusion logo as default main screen logo. Favicon for the Dashboard Server can be changed and the preferred image size is 16x16 pixels. Dashboard Server will have Syncfusion favicon as default favicon. Time zone for the Dashboard Server can be changed. Dashboard Server sets the time zone of the system where it is installed by default. Date format of the Dashboard Server can be changed. Dashboard Server will have “MM/dd/yyyy” as the default date format. Time format of the Dashboard Server can be changed. Dashboard Server will have “12 hour” as the default time format. Option to localize the Dashboard Server to any culture. Please click here to learn how to add new localization or edit existing localization in the Dashboard Server. Option to show/hide Powered by Syncfusion in the footer of the Dashboard Server. By default, this will be shown. Allows to show/hide Copyright Information in the footer of the Dashboard Server. By default, this will be shown. Email templates define the mail content to be sent via email to the Dashboard Server users. Email templates can be customized by the following ways. Organization name can be changed in the site settings page of the Dashboard Server which will shown in the email template as below. 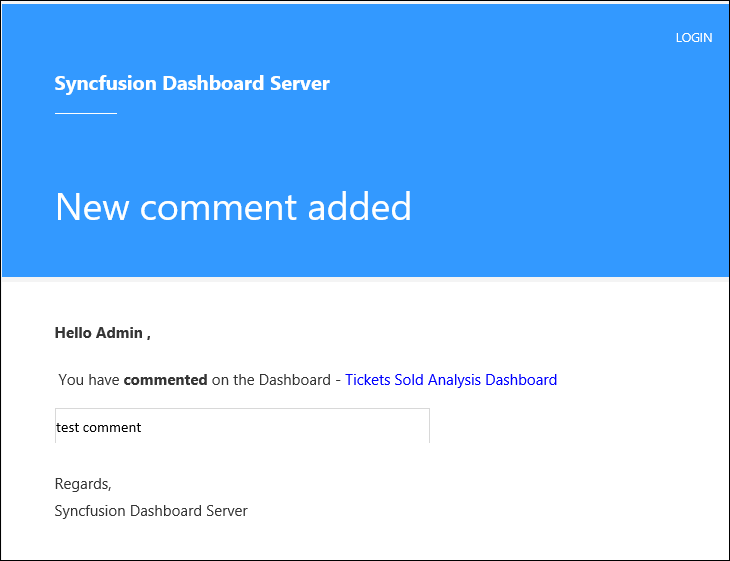 Users can add/edit/reply/delete comments for dashboards/widgets. An email notification will be sent to users with comment details. If the comment has been deleted, notification mail will be sent to the user with the deleted comment. If a new comment is added to the dashboard/widget, mail will be sent to the user with the added comment. If any user replies to the added comment, mail will be sent to the user who initiated the comment. If the comment is modified, mail will be sent to users with the modified comment. You can mention any user in the comment then that user will be notified with the mail notification. Item owners can share the dashboard/widget/datasource/view with other users. An email notification will be sent to users with shared item details. When a user is granted permission to access all items in the specific category, the notification mail will be sent to the user with the shared item and category details. When a user is granted permission to access all items (dashboard/widget/datasource), the notification will be sent to the user through mail. 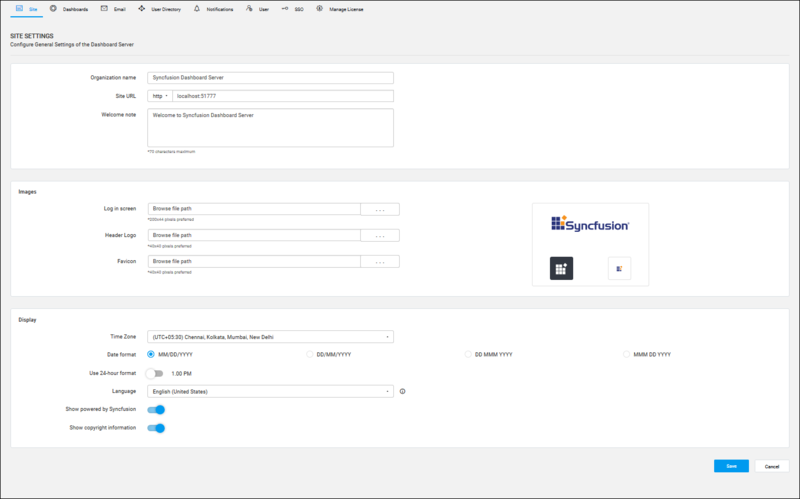 When the user is granted permission to access specific item (dashboard/widget/datasource/view), the notification mail will be sent to the user with the item detail. When a user uses the forgot password option to reset the password, the mail will be sent to the user with the reset password link. When user/admin resets the password, the user/admin will be notified that the password has been changed. When user/admin changes the user profile information, the user/admin will be notified with the changes made in the profile. 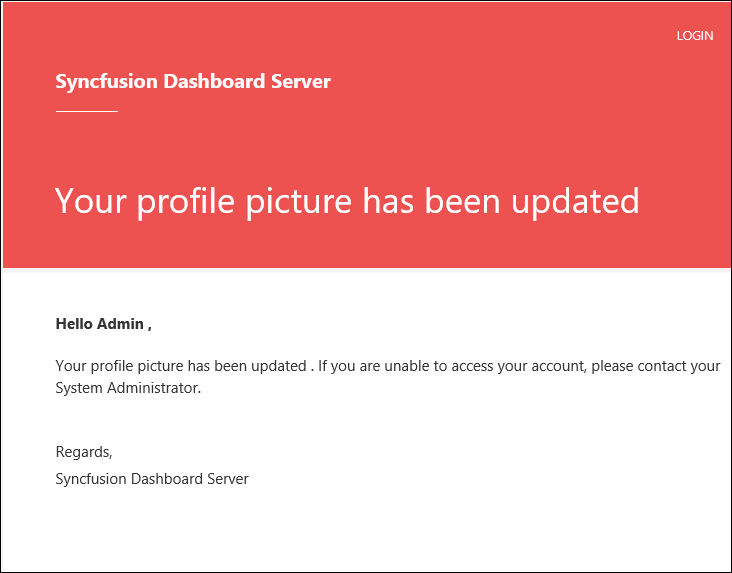 When user/admin changes the profile picture, the user/admin will be notified that the profile picture has been changed. 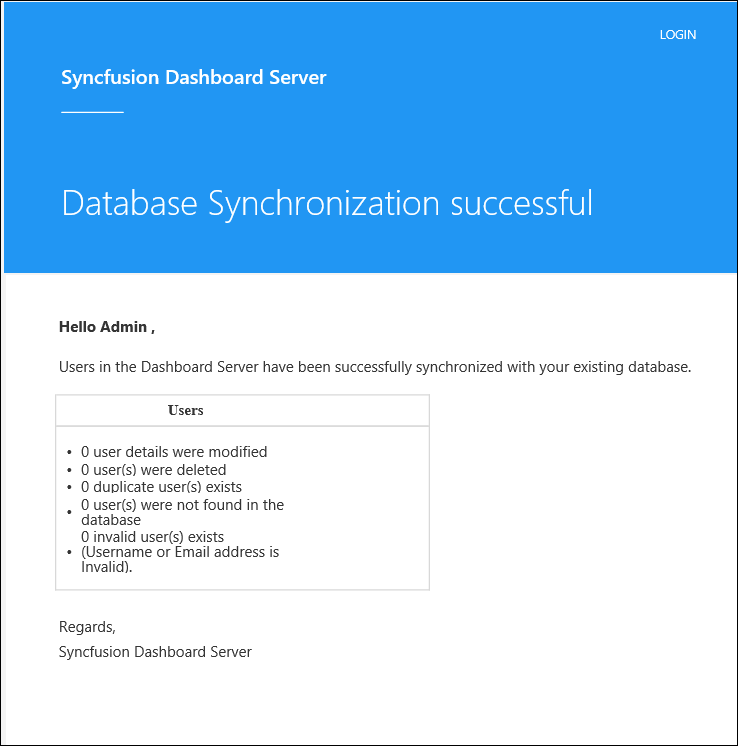 Users can schedule the dashboards and users/groups synchronization in Active directory/Azure Active directory/Database. When user starts the schedule on demand, the dashboard will be sent to the user via mail. 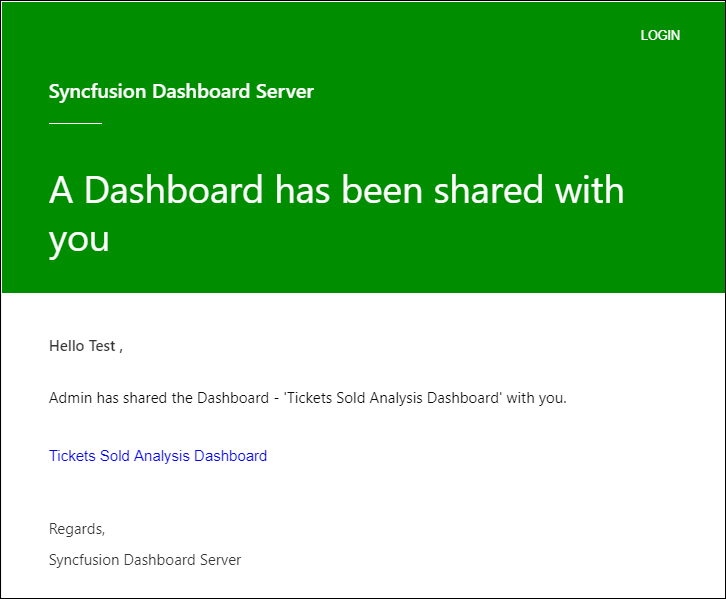 Scheduled dashboards are sent via mail in user specified dashboard format (Image/PDF/Excel). 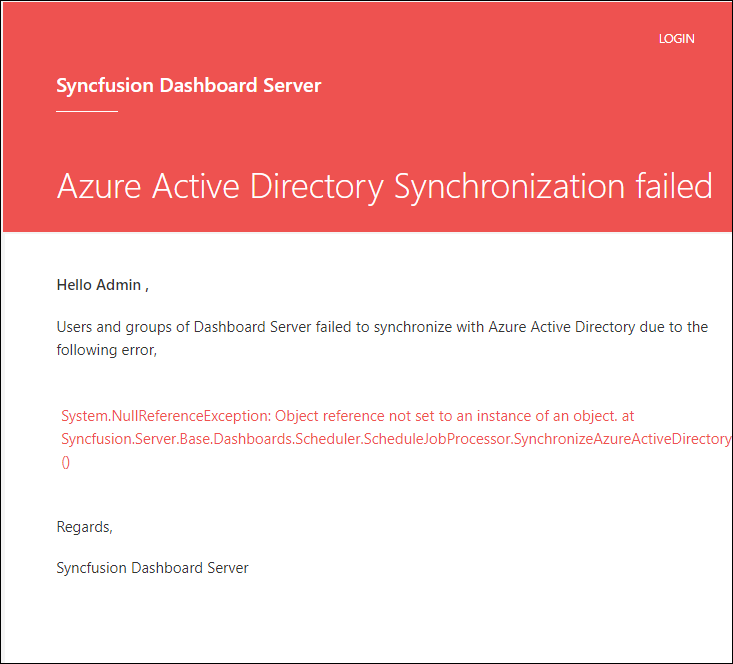 When Active directory/Azure Active directory/Database synchronization is failed, the user will be notified with error details. 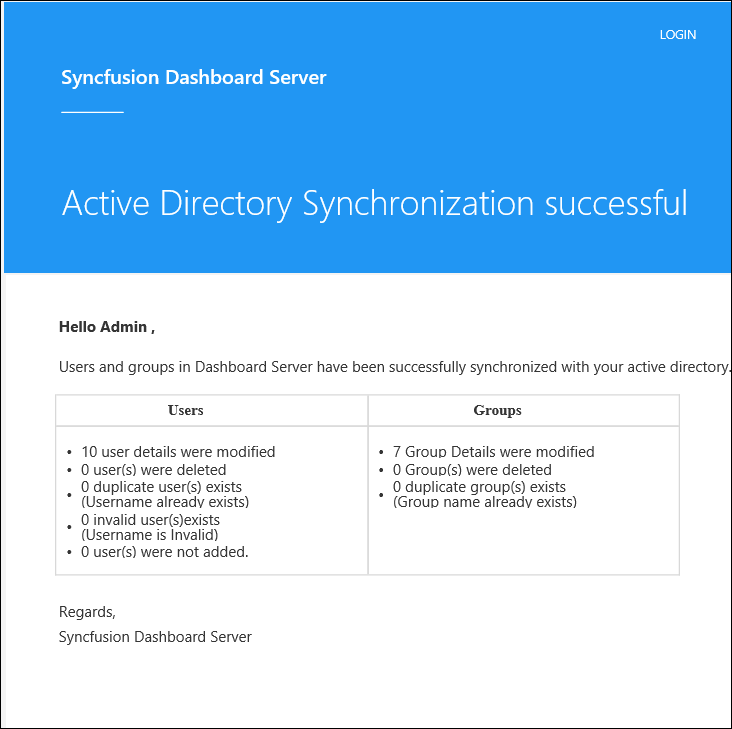 On successful Active Directory/Azure Active Directory synchronization, user will be notified with the user count. On successful user synchronization of the database, the user will be notified with the user count. 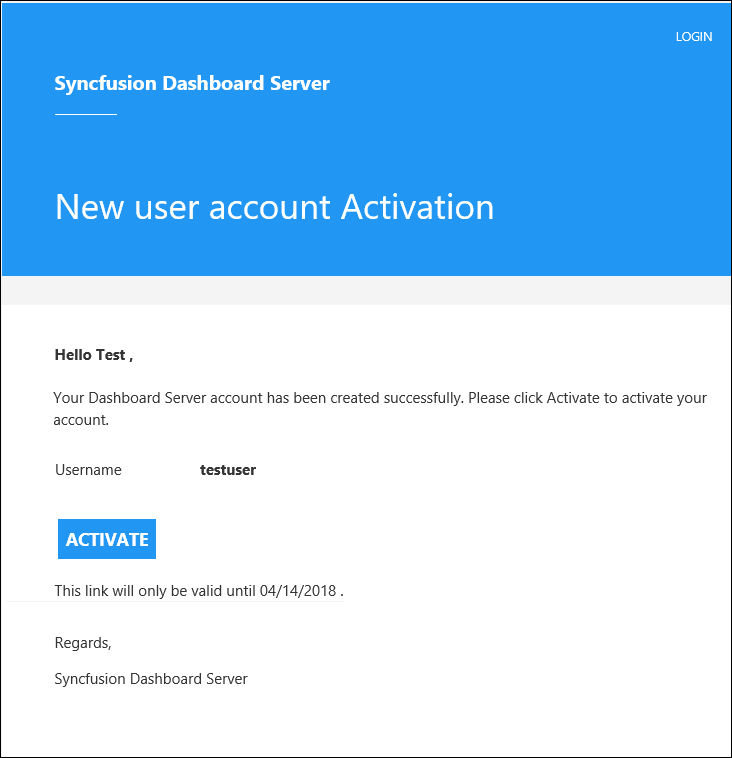 When a new user is added to the Dashboard Server in Email Activation mode, an activation mail will be sent to the user with the Activation link.